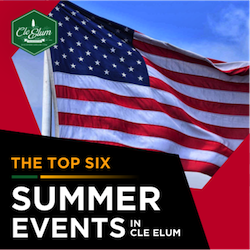 Cle Elum Calendar of Events. 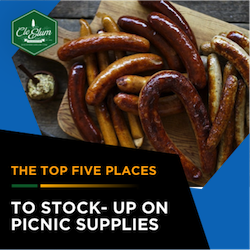 We're always on the lookout for great events for visitors and locals! Fill out the fields below to have your events listed on our online calendar. Please note: Events go through an approval process before publication. After the process is complete, you will be notified via email. Please allow up to five business days for event approval. Does this event produce overnight stays? Does your marketing attract tourist 50 miles or more? Click the browse button below to upload a file. 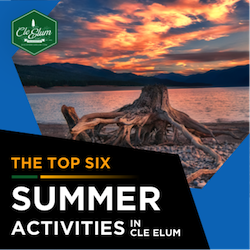 Looking for things to do in Cle Elum, Washington? Our event calendar is a great place to start! Search our listings to get details and maps for special events, festivals, concerts, exhibitions and shows. Have an event listing to share? Upload it here! We welcome "Rusty Hinges Bluegrass Band" to our stage. Each member of Rusty Hinges is a veteran of the Pacific NW bluegrass scene. Their collective experience results in a musical program that is polished and entertaining. Doors open at 6:30 pm, the band takes the stage at 7:00 pm. The hall is located at 1361 Ballard Hill Rd, about 8 miles NE of Cle Elum near the intersection of SR 970 and Teanaway Rd. Admission is $10, kids under 12 years of age are free, desserts will be provided. Roslyn Riders Playfield, Hwy 903 First Rider out at noon. Roslyn Museum is open on the weekends 12 to 4 and by request until spring. Join the Kittitas County Chamber of Commerce for the 2019 Upper Kittitas County Pioneer Days Celebration. The Grand Parade begins at 10AM and runs from Peoh to Oaks Avenue on 1st Street. Hope to see you as we celebrate Independence Day and this great Country. Month of August is Celebration of Art! ARRF provides spay/neuter vouchers for low income pet owners, adoption services, a pet food bank with Hopesource, help with reuniting lost and found pets, fostering and humane education. Until every pet has a home! Set in the charming town of Roslyn, WA on Saturday, October 12th 2019, this event features some of the best Central Washington breweries. Swauk Teanaway Grange, organized on June 24, 1931, by Ira E. Shea, meets at the site of the old Ballard School just off SR 970 in the Swauk Prairie at 1361 Ballard Hill Road, Cle Elum, WA. The Grange meets each month on the 2nd Friday at 1pm. Parade of lights, caroling, fire pits, music, bazaars & more. Downtown Cle Elum! Saturday, December 1st, 2019 at 4pm-8pm and starts at Wright Avenue ends at Pennsylvania Avenue. The mission of ARRF Animal Rescue is the promotion of care and welfare of companion animals in Upper Kittitas County. The choir provides an opportunity for individuals in Upper Kittitas County to share their musical talents at Christmas time with a selection of secular and sacred music remembering the "Reason for the Season." Swauk Teanaway Grange, organized on June 24, 1931, by Ira E. Shea, meets at the site of the old Ballard School just off SR 970 in the Swauk Prairie at 1361 Ballard Hill Road, Cle Elum, WA.The Grange meets each month on the 2nd Friday at 1:00 PM. Hospice Friends is a non-profit charitable organization that provides peace, comfort, and care to the elderly, bereaved, and anyone facing a life-threatening illness in Kittitas County. Hospice Friends works in coordination with Kittitas Valley Home Health and Hospice, a department of Kittitas Valley Community Hospital, to provide quality care in the home, nursing home, or hospital; in a professional, empathetic, and confidential manner. Join us this year at the Cle Elum Community Center. Free Ice Cream Sundaes. Free Pictures with Santa. Doors open at 6 PM for ice cream sundaes and cookies as we await the arrival of Santa Claus on Rudolf the Red Roslyn Fire Company Fire Truck.